Everett W. Cook, 81, of Kimbolton, Ohio, passed away Tuesday, Sept. 4, 2018, at Southeastern Ohio Regional Medical Center. He was born April 23, 1937, in Cass, the son of the late Lester R. and Leona A. (Long) Cook. Mr. Cook retired from General Electric in Ravenna, Ohio. He had a PhD in life, and could fix anything mechanical. He was an Air Force veteran of the Korean War. In addition to his parents, he was preceded in death by four brothers and one sister. He is survived by his wife of 14 years, Beverly A. 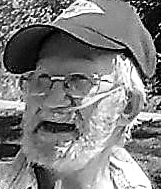 (Tabb) Cook, whom he married June 9, 2004; two sons, Tim (Carol) Cook of West Virginia, and Ronnie Cook of Georgia; one stepson, Tom (Sharon) Winkler of Texas; three daughters, Brenda Cook of Wyoming, Suzie (Kent) Atkins of Athens, Ohio, and Melody (James) Bolen of Texas; one stepdaughter Kathryn (Matt) Beach of Virginia; one sister, Lucille (Gary) Sinclair of Lore City, Ohio; 14 grandchildren; four great-grandchildren, Tiffany, Kelly, Nathan and Kylie; special family friends, the Tim Raber family. Calling hours will be Tuesday, Sept. 11, from 11 a.m. to 1 p.m. at Thorn-Black Funeral Home, Cambridge, Ohio, where services will follow at 1 p.m. Burial will be in Northwood Cemetery with military rites conducted by the Guernsey County Veterans Council.